I went to the dentist last week for a routine cleaning. 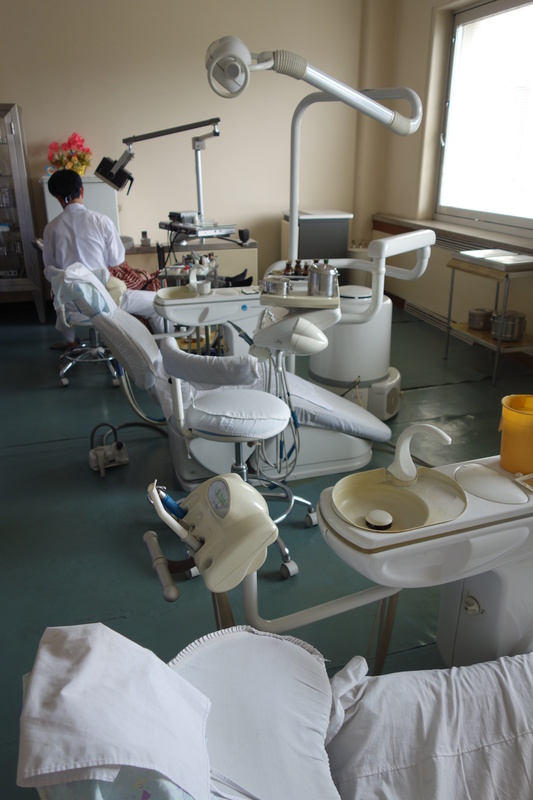 Settling into the dental chair, the contrast between what I saw around me in Dr. Carver’s office and what The Velvet Rocket staff observed in a North Korean dental office during our recent visit there, prompted me to decide that I would not wish to experience a dental emergency in North Korea. 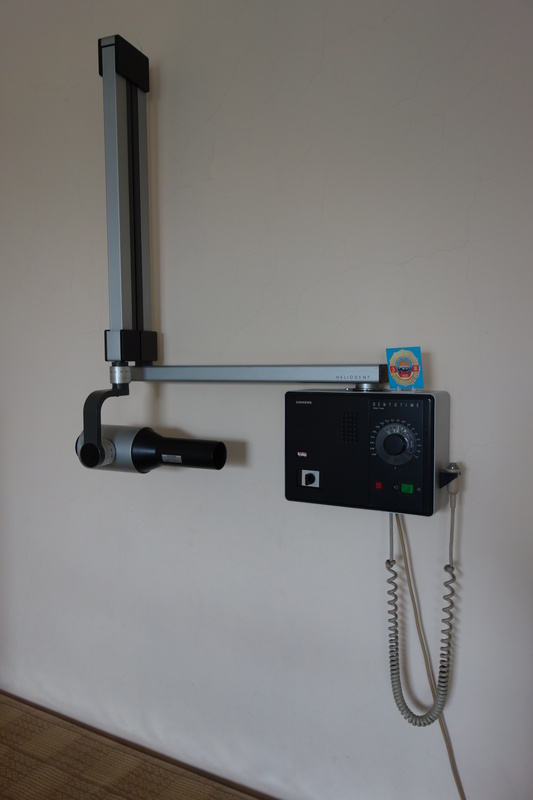 Ready and waiting for a patient… You? The cigarette lighter mixed in with the dental instruments doesn’t exactly inspire confidence, does it? Or does it? 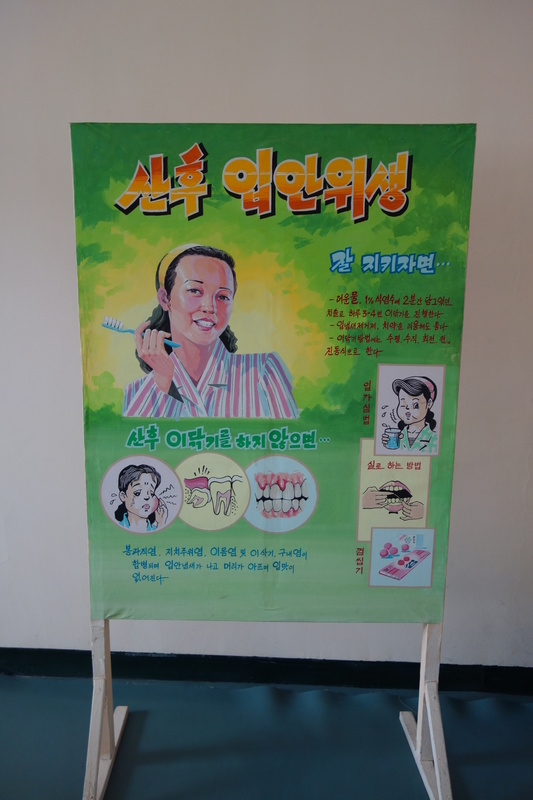 Next to the x-ray was this inspirational poster on proper dental hygiene for North Koreans… Good stuff, huh? 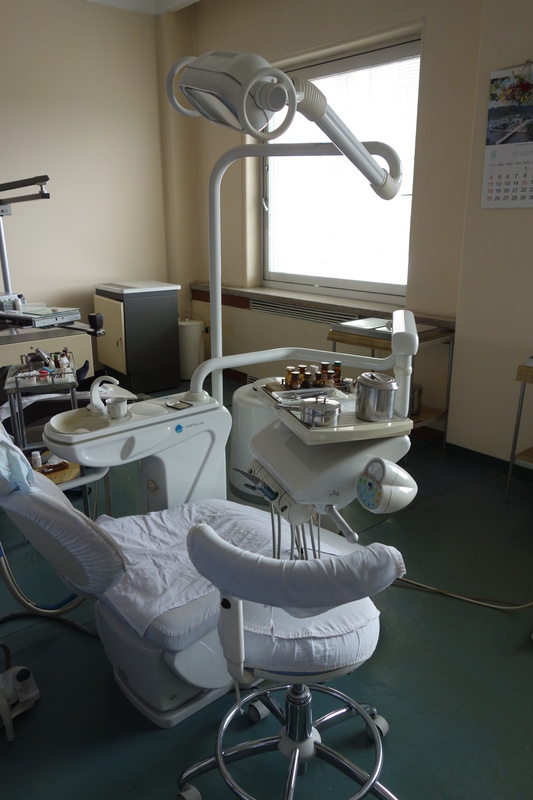 Keep in mind that this is the flagship dental studio in North Korea that they show off to the foreigners. So, one does wonder what might be found elsewhere in Pyongyang, let alone out in the countryside. 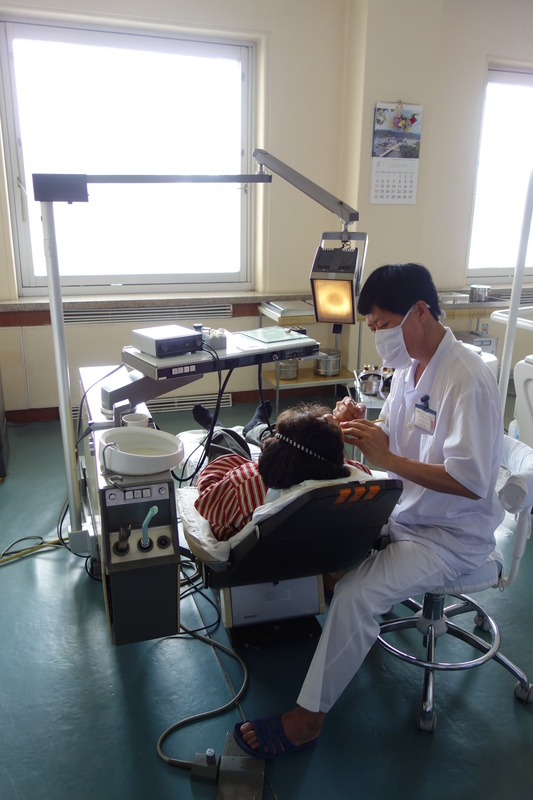 Tags: North Korea, North Korean Dental Studio, North Korean Dentistry, Pyongyang. Bookmark the permalink. 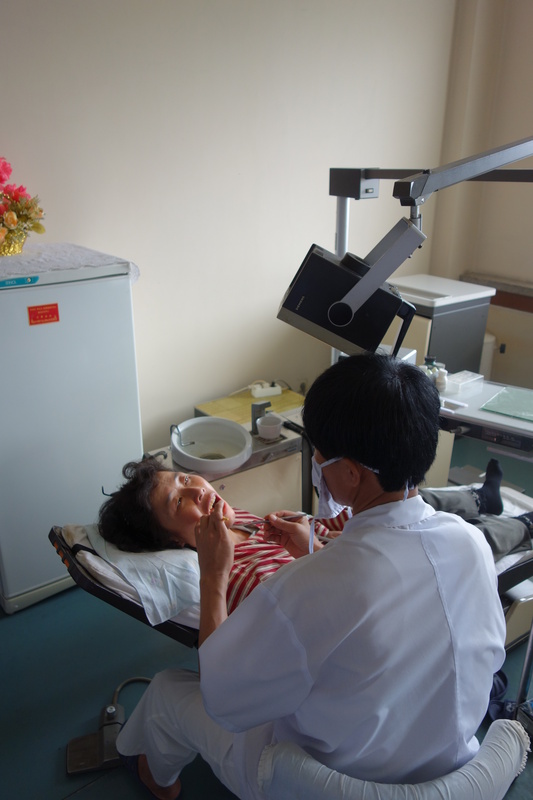 Ha, well, it certainly shouldn’t be considered a representative of what the rest of North Korea has in the way of dental care. This is the jewel in the crown. A bit archaic but still acceptable. I would prefer being a dental patient rather than giving birth to my child there. 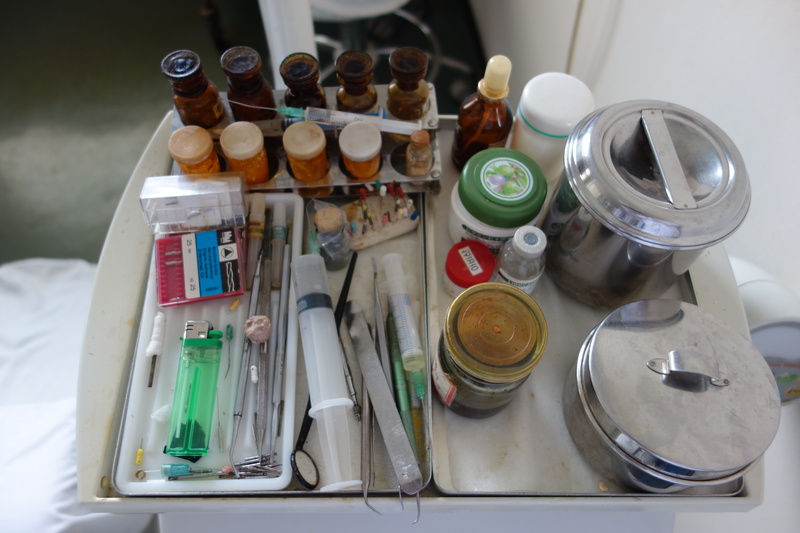 Neither serendipity, nor impulse, nor pure need has ever taken me to a dentists’ office in a decidedly foreign country. Does that mean there’s something wrong with me? yes the unit is old and Korean made.but i have seen worse. the Xray old but looks if not fancy then sufficient. if westerner Xray manufacturer didn’t have to compete with others he would make it look the same.simple. and the Cigarette lighter.is to heat stuff. 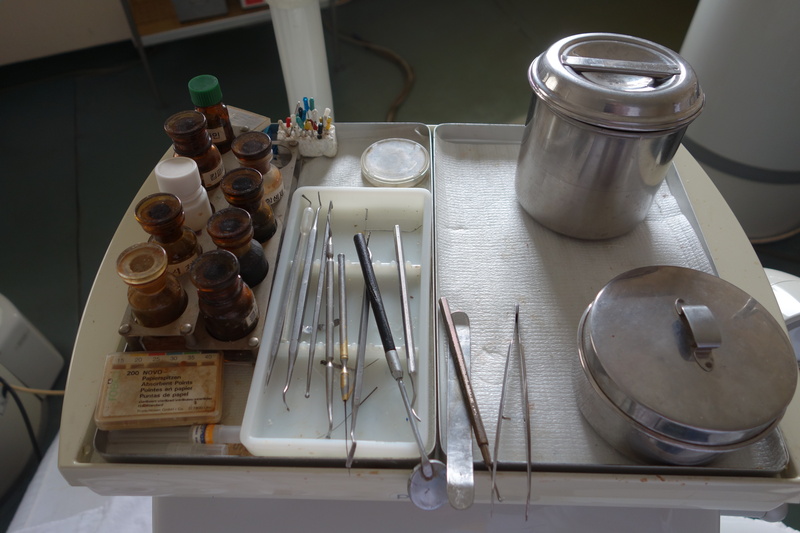 like wax, or when he does a root canal treatment (its a root canal treatment “Kit” in the photo),he lights a colloquial with which he heats a cureta to slice the Gucha perka with witch he fills the canals. it costs him 0.5 $ ,while mine that is electrical cost me about 85$. When mine will die on me, i will buy a lighter :) or matches. sterile it looks that way. the brown on the tools means it been sterilized many times and its old ( Appears after 3-5 years in use even on stainless-still).but it looks functional. The lighter is used during root canal treatment. Although I don’t use the regular BIC lighter, a flame is necessary. It reminds me of that song from sesame street, “one of these things doesn’t belong here”. Some of the tools are rusty & you can see many tools that aren’t sanitized. Ha, well, none of us rushed to volunteer to try out the North Korean dentists!